While the end of October usually means scary costumes and bags of candy for Americans, south of the border it means something else entirely. Dia de Muertos, commonly known as the Day of the Dead in the United States, is a longstanding tradition in southern and central Mexico where indigenous people honor their deceased loved ones. It starts at midnight Oct. 31 (Halloween on U.S. calendars) and it is believed that the gates of heaven are opened and the souls of lost loved ones are allowed to return to the world to their families for the holiday. Despite being called Day of the Dead, the tradition is actually a multi-day holiday where families and friends gather for prayer for lost loved ones. Coinciding with the Catholic holiday All Saints Day, the holiday includes building private "ofrendas," which are memorial alters. Newberg residents will have the chance to add items to a community ofrenda from 5 p.m. to 8 p.m. Oct. 31 in Butler Square. The Chehalem Cultural Center will offer items for members of the community to add to honor deceased relatives, but people are welcome to bring their own alter offerings as well. On Nov. 2, the cultural center will host a Day of the Dead celebration in its grand ballroom, which will feature traditional Aztec dancing and other activities. There will be live music, face painting, crafts for kids, food and drink, and the dance performance begins at 5:30 p.m.
Carissa Smith-Burkett, the arts and public programming coordinator for the CCC, said the center has been putting on the Day of the Dead celebration for the past nine years, ever since the center opened. Last year the festivities drew close to 400 people and has become a popular tradition since it was started, she added. "I think the importance is the Latino community is the second highest in Newberg, and (the Day of the Dead) is an important part of culture," Smith-Burkett said. The events are planned by the community committee to provide an opportunity to learn about that culture with others. 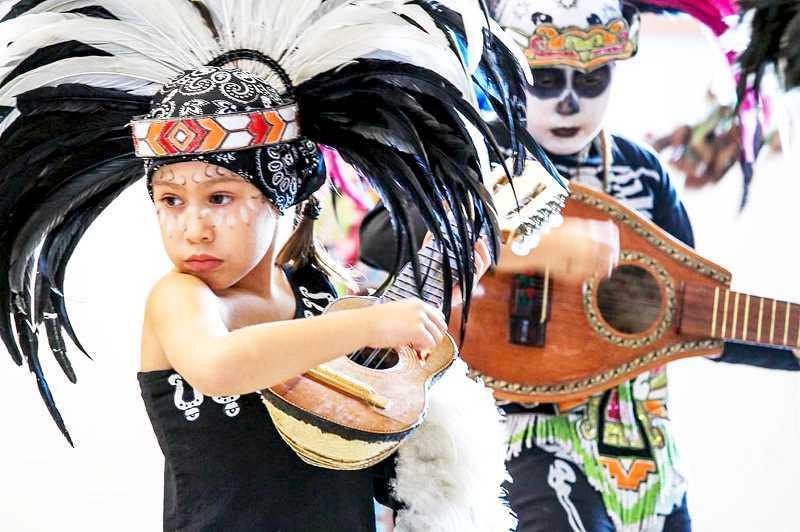 In addition to the Aztec dance group, which in the past has used their dance as a way to tell the story of Day of the Dead decked out in colorful skeleton motifs, Smith-Burkett said there will be traditional foods such as sweet breads and tamales dulces. The seventh annual Holiday Bazaar at the Mabel Rush Elementary School will be from 10 a.m. to 3 p.m. Nov. 10. The event welcomes all artisans, local crafters and small home-based businesses. Newberg Church of Christ is offering its annual Trunk or Treat event beginning at 6 p.m. Saturday. Kids can wear costumes and collect candy and other treats; at 6:30 p.m. there will be a community soup supper and prize event. The church is located at 2503 Haworth Ave.
Chehalem Valley Baptist Church will host a Fall Fun Day from 11 a.m. to 1 p.m. Saturday. The event features food, games and family-friendly events like a bounce house, a petting zoo, a photo booth, cake walk and more. The event is at 26155 N.E. Bell Road. For more information, call 503-538-4158. Wilson Orthodontics is hosting an annual Halloween candy buy back event at schools in Sherwood and Newberg. Schools will get $1 per pound of candy, plus a $100 bonus if more than 50 pounds are collected. The top two schools will receive prizes of $300 and $200, respectively. Cultural center to host "Night Mother"
The Chehalem Players Repertory will put on the Pulitzer Prize-winning play "Night Mother" at the Black Box Theatre beginning Friday and continuing through Nov. 11. The show is directed by Steve Koeppen and stars two Portland-based actresses. Tickets are available online at https://chehalemplayersrep.ticketleap.com/.